Executive coaching can elevate your leadership effectiveness, make you a strategic communicator and help you initiate difficult performance conversations. 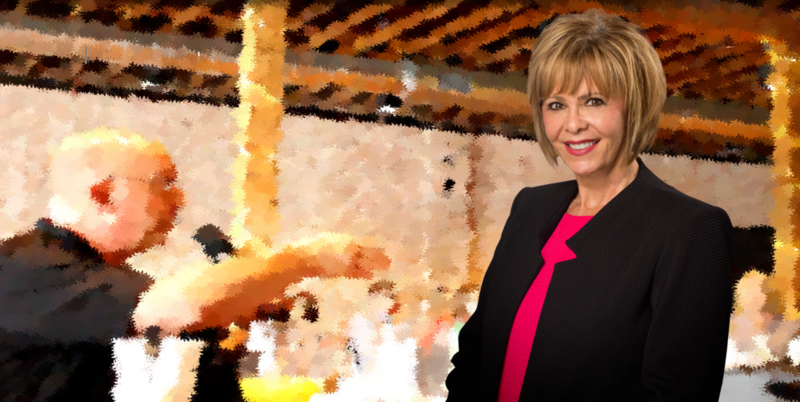 We thought you would enjoy this Q and A interview with Marlene Chism to learn more about how executive coaching affects business results. High level executives, business owners, and high level leaders can benefit from executive or leadership coaching. For example, I’ve had C-suite executives that were afraid of conflict and would not disagree with the CEO. As a result the company was losing hundreds of thousands of dollars each year due to poor decision-making that could have been prevented if the fear of conflict was not the predominant mindset. Another example: a partner of a family business needed help standing up for his ideas and speaking authentically with other family-owners. I’ve worked with individuals ready for a career change and needed clarity. 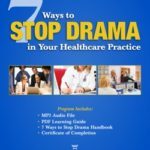 One client, an operations managers would rather fire employees than initiate difficult performance conversations. Anyone in a leadership role who wants to communicate more strategically, stop workplace drama, or elevate their leadership skills benefits from executive coaching and support. What are the biggest cultural and communication issues you see? 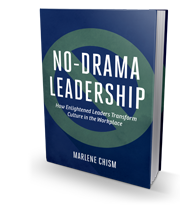 We often refer to it as “drama in the workplace, however drama always affects culture.” Besides a lack of understanding alignment, the root problem I see is that companies promote leaders without giving them the proper development. As a result these new leaders are in what I call an “identity crisis.” They still identify with the front line, or they overcompensate by becoming power hungry. This creates a culture of mistrust. 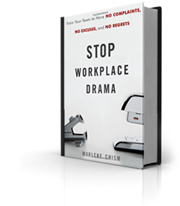 Another big problem that leads to mistrust and low morale, is the failure to hold difficult performance conversations. This happens at all levels. One reason is because the leader is afraid of conflict. Another reason is that the manager inherited the problem and doesn’t want to rock the boat. Yet another reason is due to simply not having a process or the skills to effectively coach others to higher performance. What is the process you use with your client in a coaching engagement? The process is a minimum three month engagement. The executive client has full access to me, (or one of our other coaches) any time by email, text, or phone calls. For more in depth coaching where we are working on a particular problem, or if we are coaching on strategic communication, we record the call, and then place the mp.3 in our cloud based system so that the client builds a library to listen to again and again. We set the objectives of the coaching to ensure that we are a good match to work together. When I coach, I wear three hats: coach, teacher, and consultant. I absolutely love my clients. They are brilliant, willing to learn, and we build a strong bond of trust. What are some of the primary results clients achieve through executive coaching? The results depend upon the objectives, for example, I have helped executives initiate difficult performance conversations. I have worked with small business owners who needed to set appropriate boundaries with employees. I have worked with individuals in transition looking to change careers. Overall, I often see an increase in clarity, courage, alignment, and significantly increased leadership effectiveness. It’s exciting to see leaders exhibit more confidence in their communication and overall higher productivity among their employees. My clients also tell me that they feel either relief or joy after working with me. After about three months, I generally see an increase in happiness, and self-confidence as a side benefit. I always look for red flags. For example, if my potential client’s goal is to “fix Fred” I re-direct to see if they are willing to work on themselves instead. Great leaders look within and work on themselves and that is what helps them to know whether they should inspire or fire Fred. If on the initial call I hear that the client is extremely resistant to ideas or possibilities I know that they probably are not ready for coaching and instead need counseling. I have also learned that what impacts you on a personal level impacts you on a professional level and vice-versa. However I have decided to draw a boundary between the personal and professional. The paradox is that when a person becomes more aligned in their leadership and when they learn how to focus their energy, then their personal life automatically starts to clean up as well. It’s pretty amazing to watch. What does an executive or owner need to bring to the table to receive the most benefit from coaching? They need to make the commitment to be honest and to be willing to learn. I call this “looking in the mirror instead of looking out the window.” When the executive continues to talk about how poorly everyone else is doing then I know by the language he or she has a pattern of avoiding responsibility by blaming. Real leadership is about alignment and you can’t be aligned if you don’t know how to take full responsibility. The executive needs to trust the coach, and to be transparent. I have had clients tell a little white lie, for example about taking my advice, when in fact they did not because they didn’t have the courage. When my client trusts me and takes advice (for example to initiate a difficult conversation) they are busting at the seams to call me and tell me of the success. When they are too afraid to tell me they didn’t have the courage, sometimes instead they act like they took the advice and tell me that all is well. When people take that one act of courage it gives them tremendous energy and they grow. That’s what is so exciting…to be the witness of someone stepping into their greatness.